Quieter than nearby Patong Beach, the resort town of Karon offers a wide stretch of golden sand, which attracts mostly couples and families. Bars and restaurants stretch all the way down to the palms that line the beach, serving international cuisine and locally caught seafood. One of the longest beaches on the island, Karon provides plenty of room to indulge in the activities that suit you, whether you want to try some water sports or just relax under a rented umbrella. 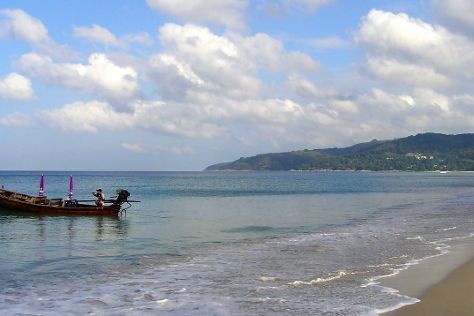 Hike inland during your Karon tour to gain extensive views of the coast, and visit significant local temples. Karon is in Phuket. Add Karon and other destinations in Thailand to your travel plans using our Thailand trip itinerary website .